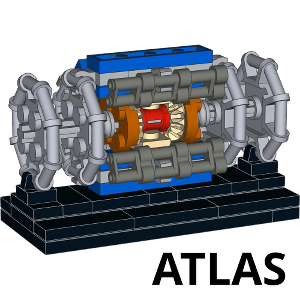 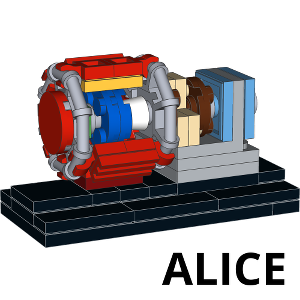 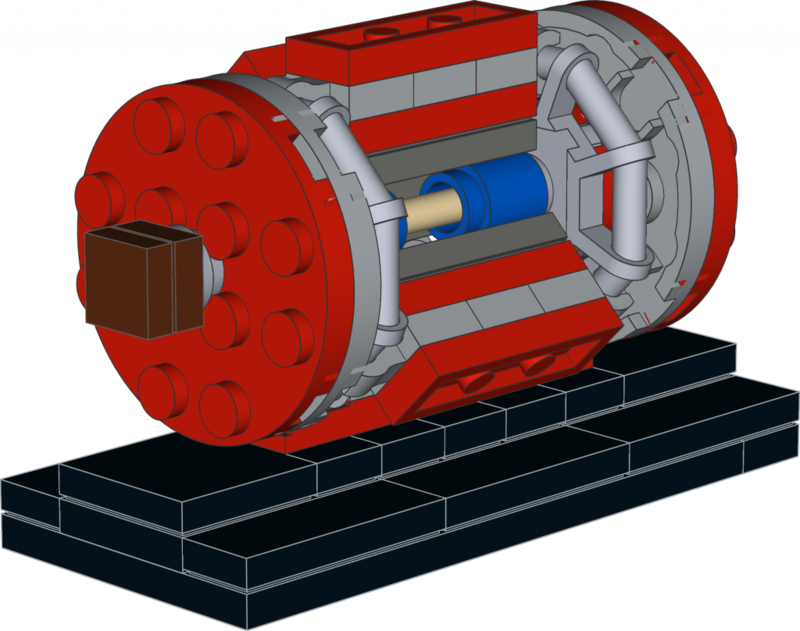 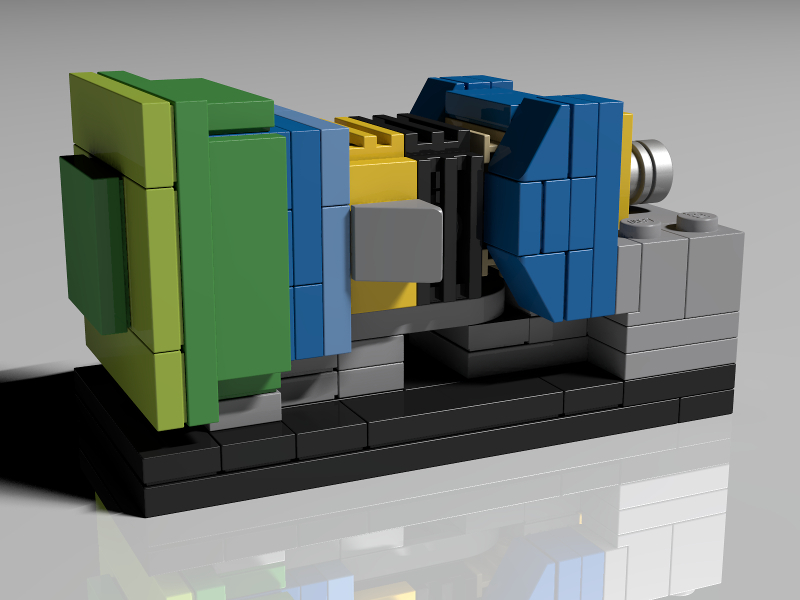 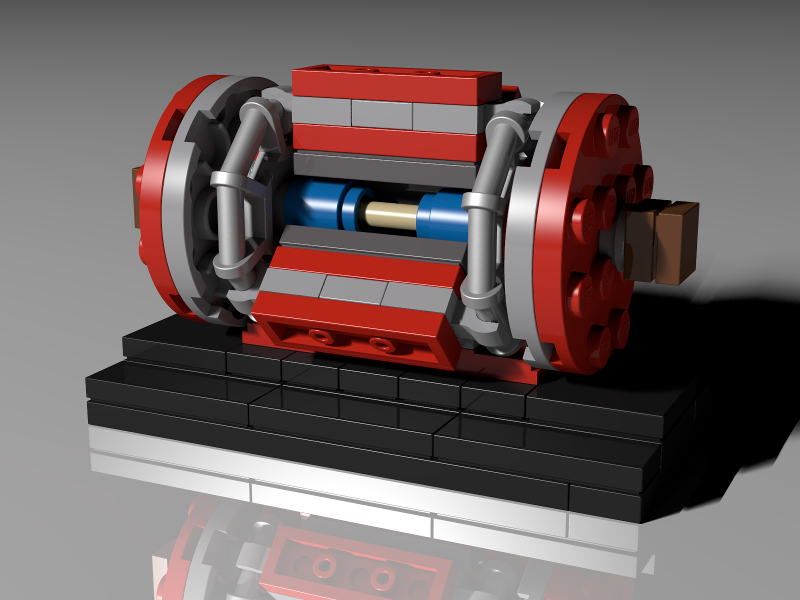 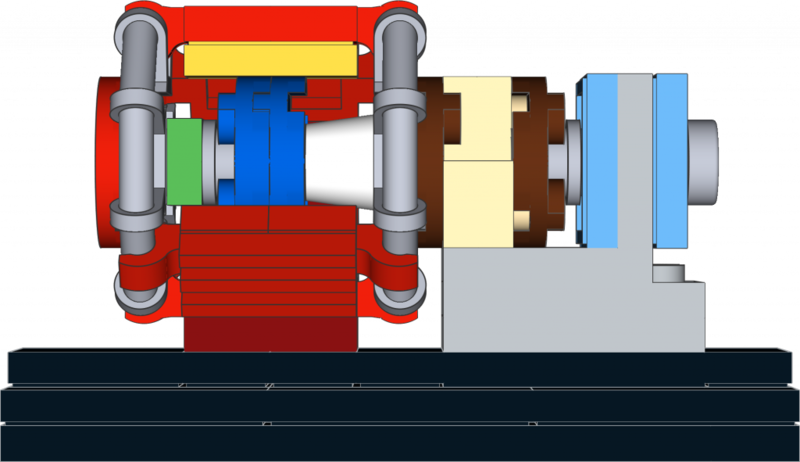 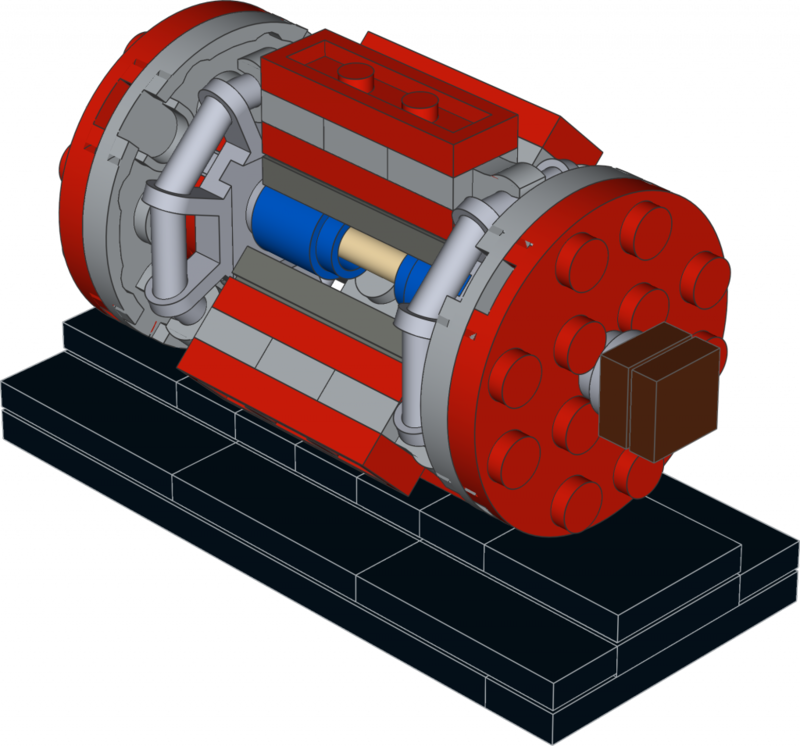 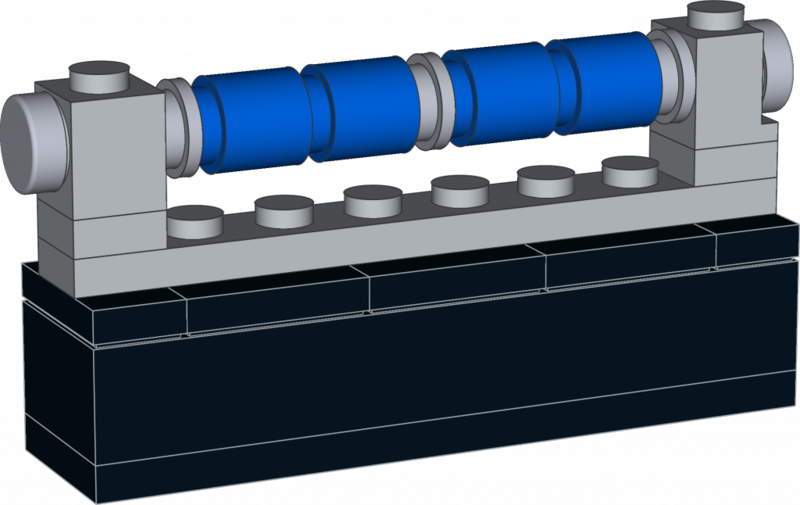 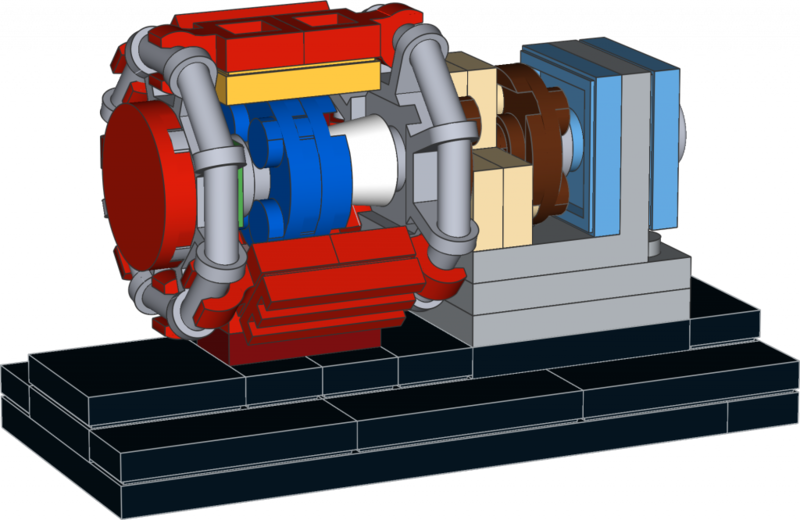 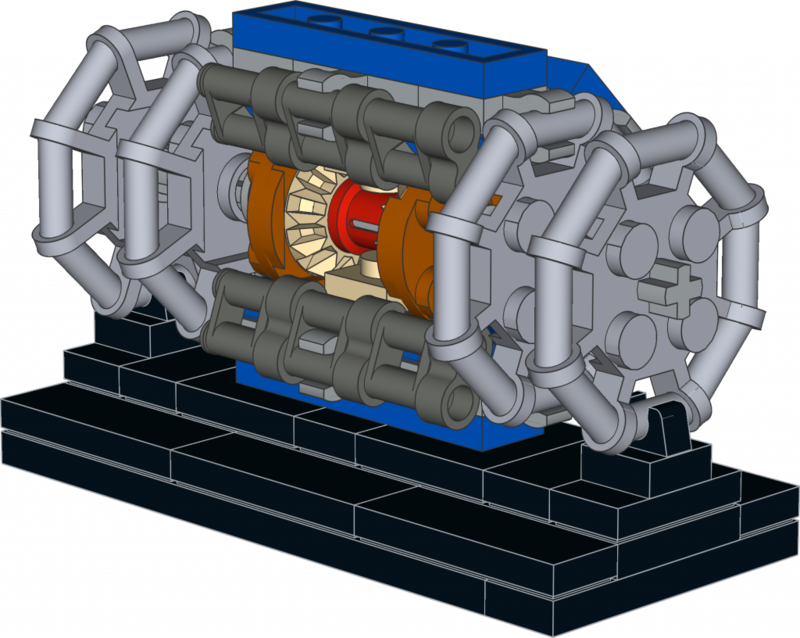 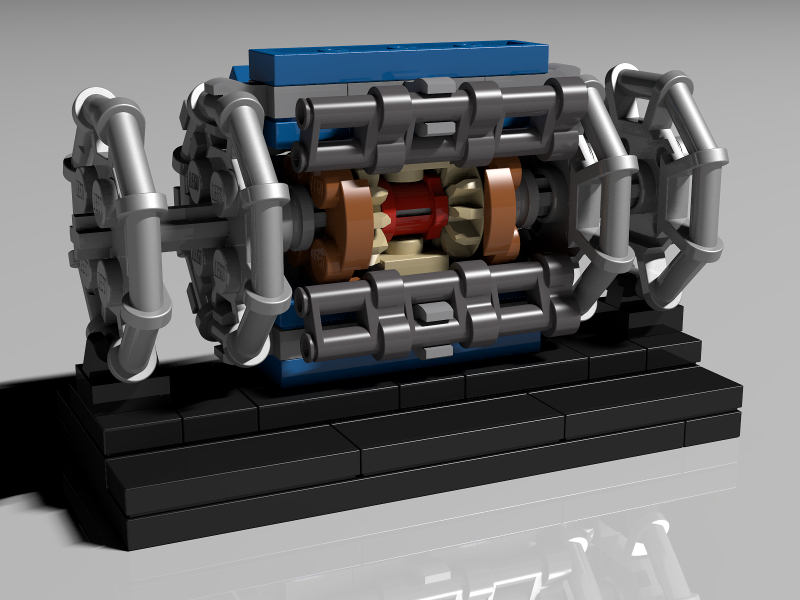 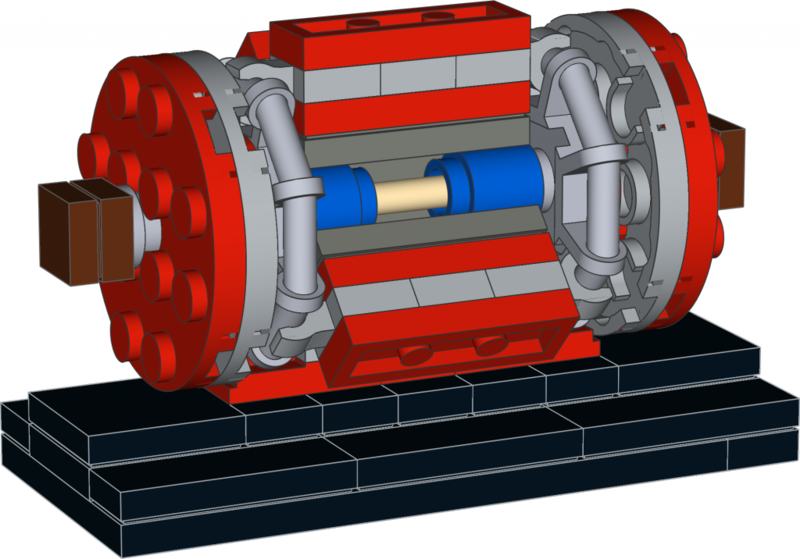 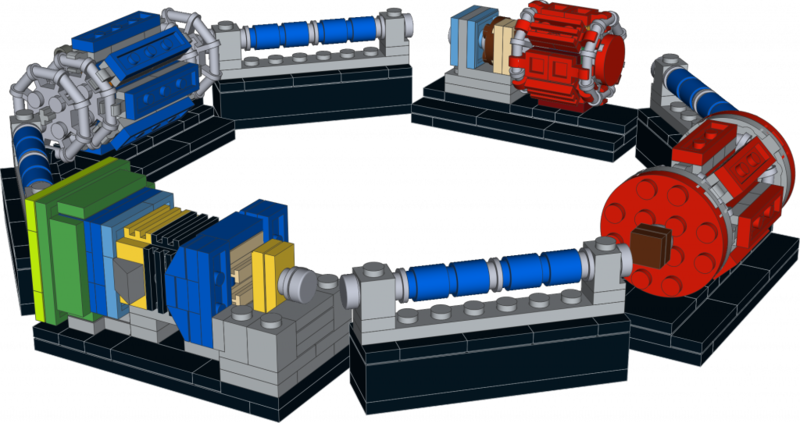 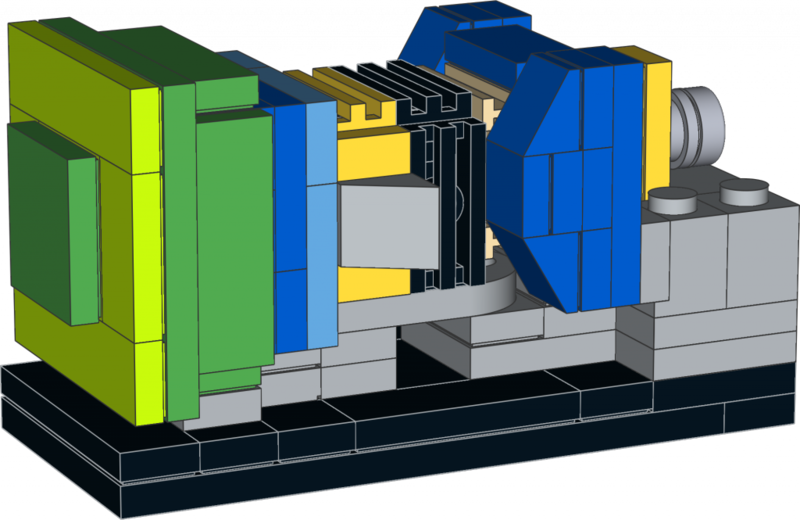 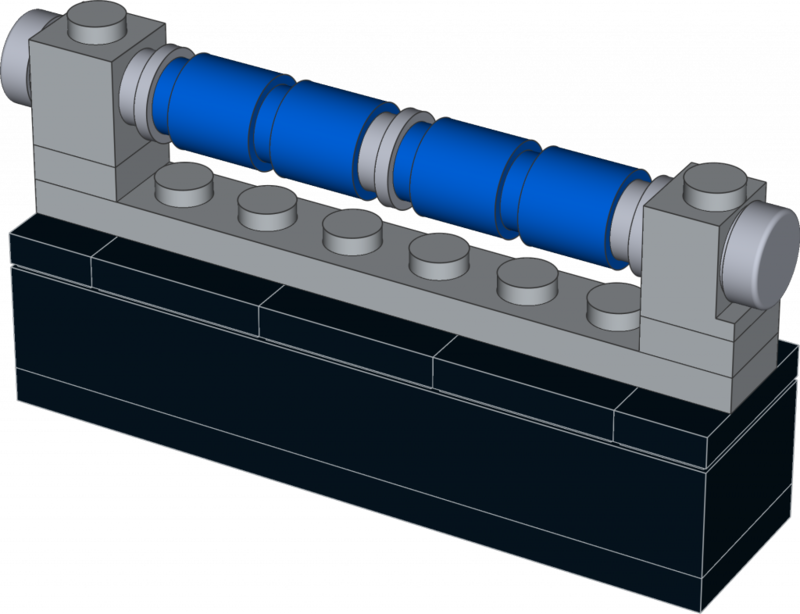 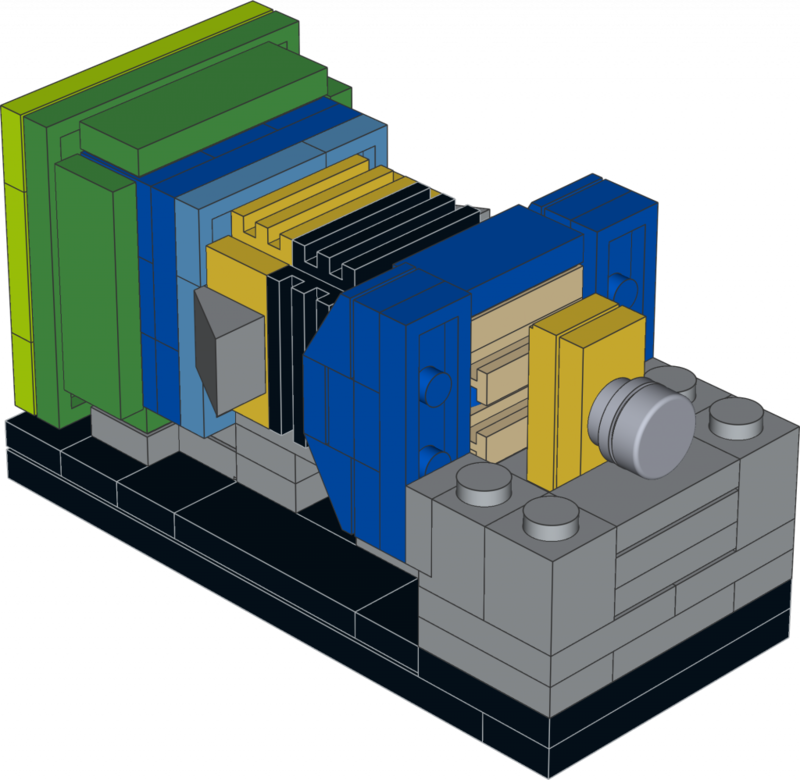 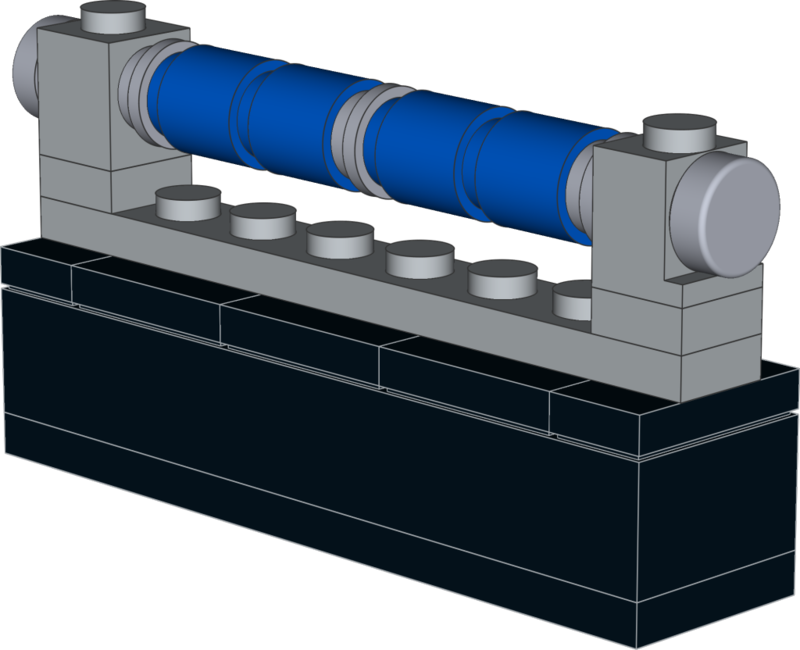 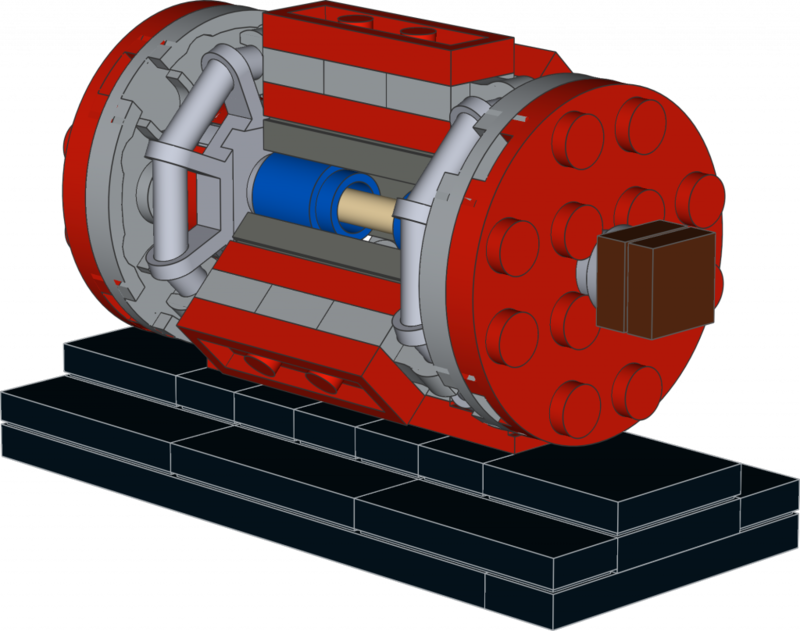 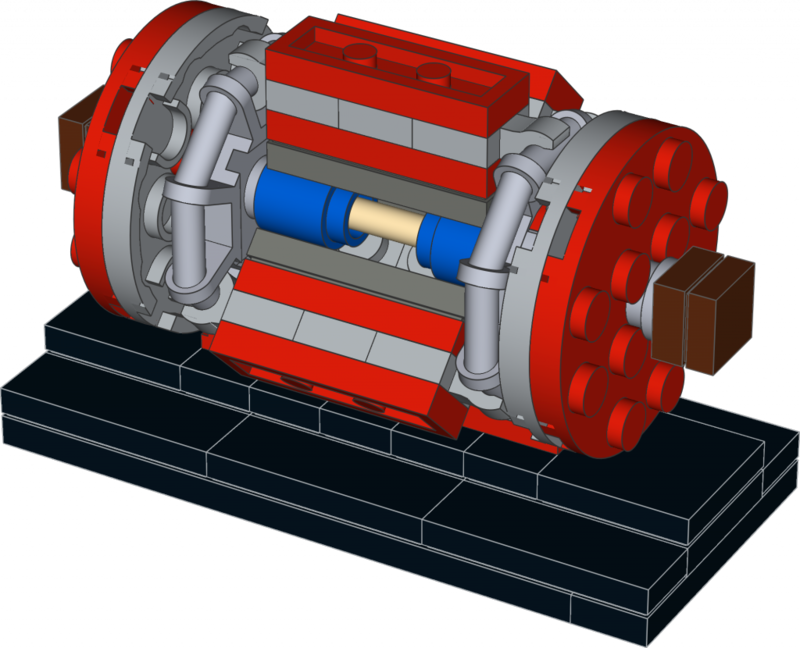 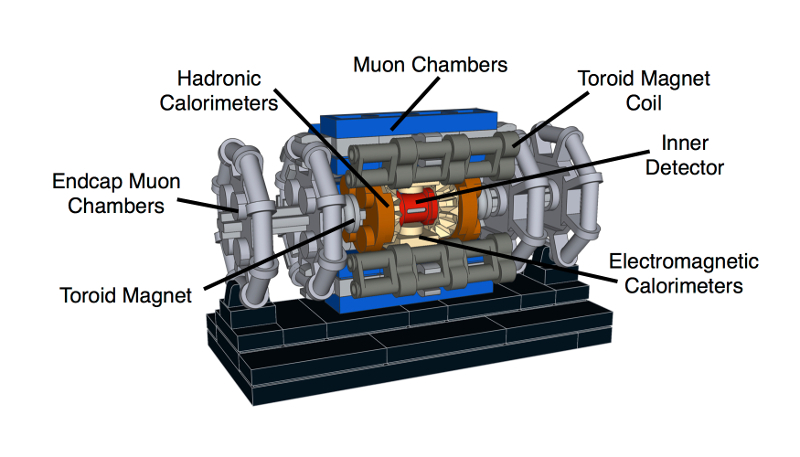 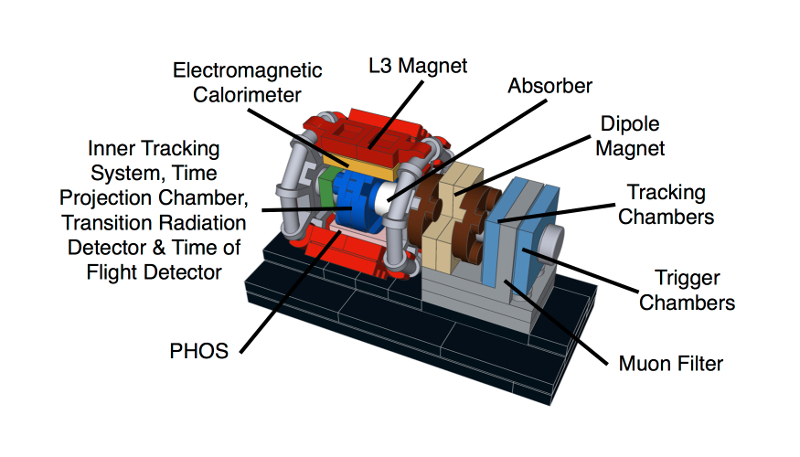 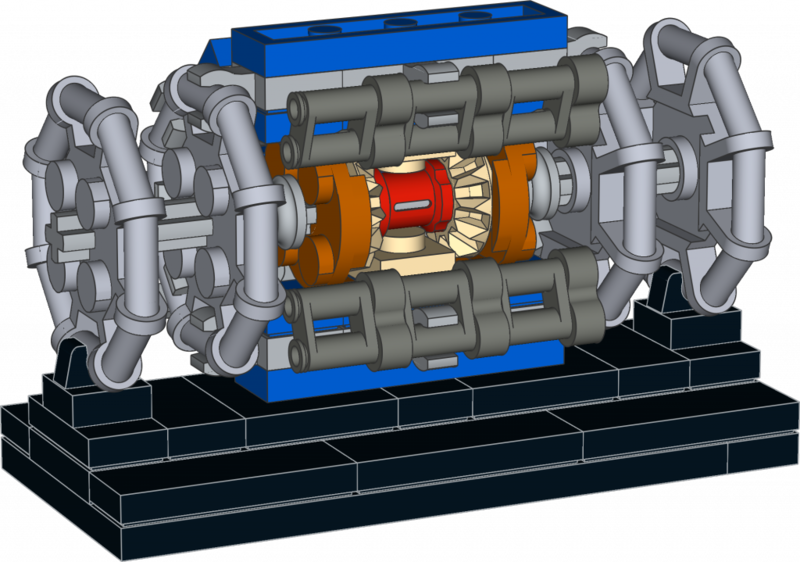 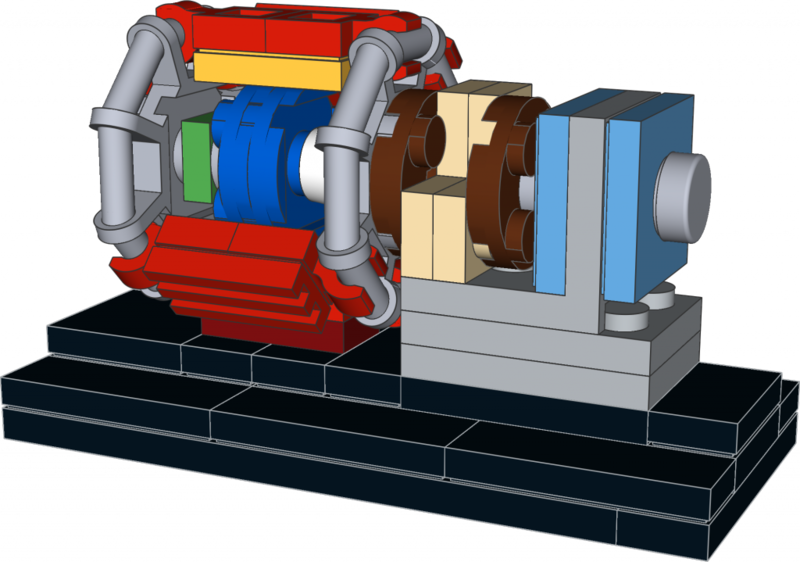 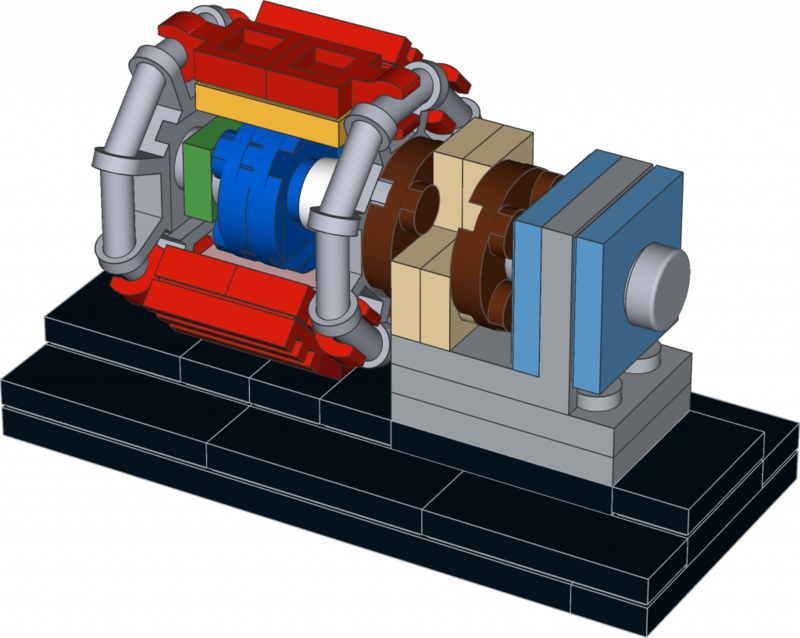 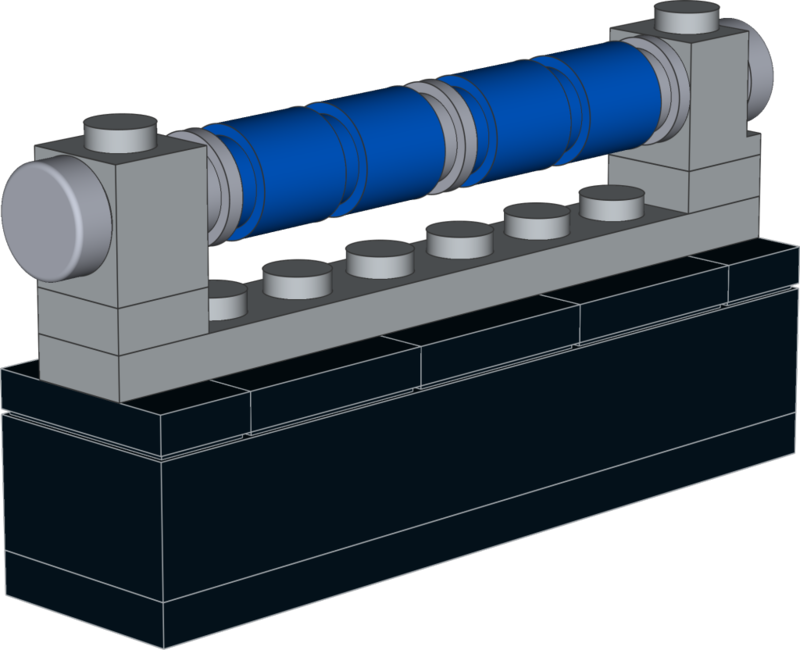 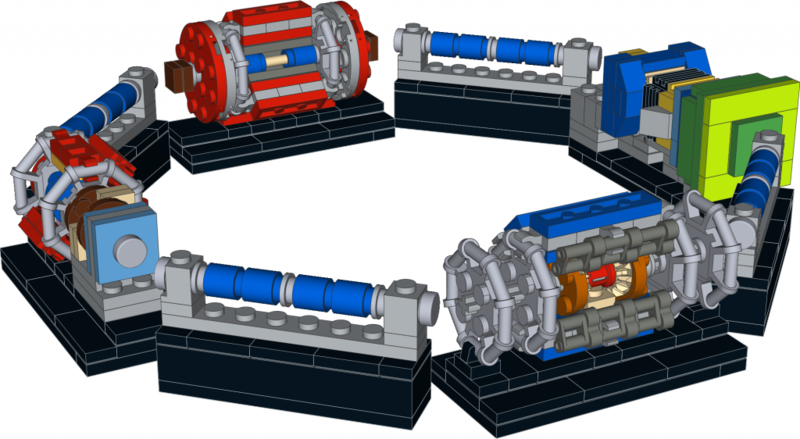 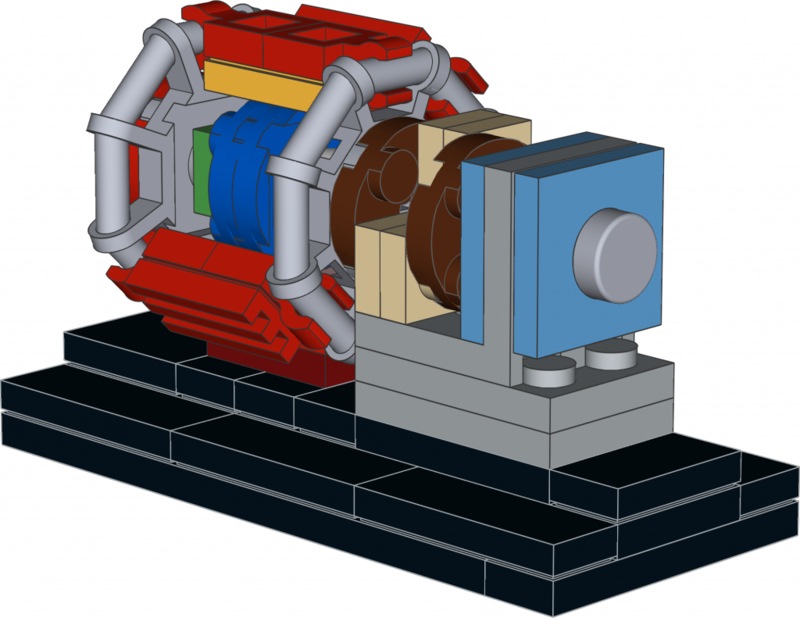 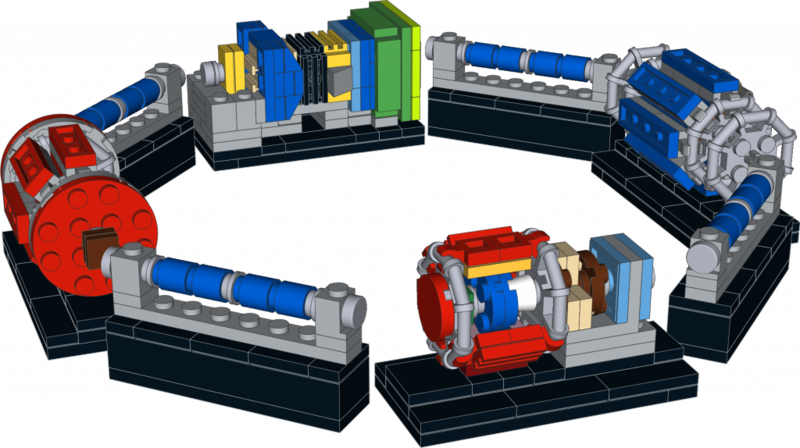 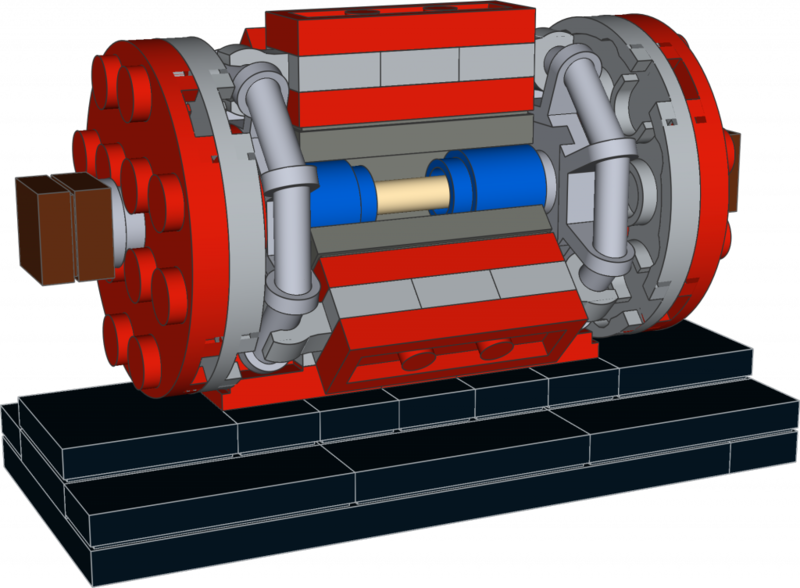 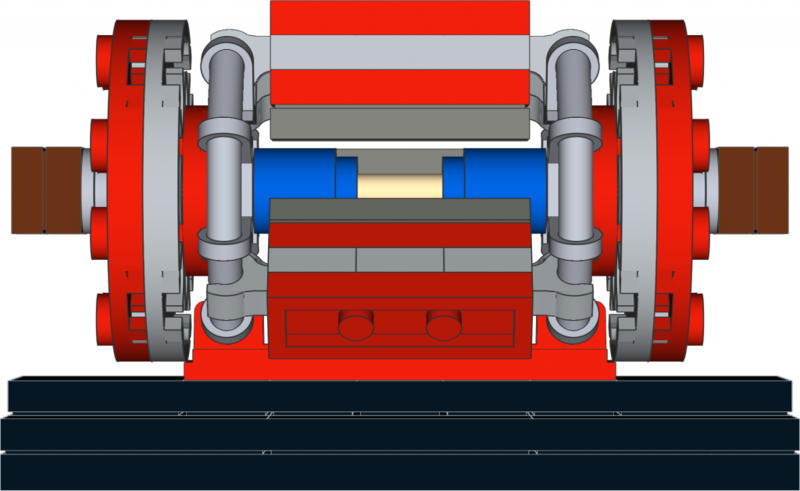 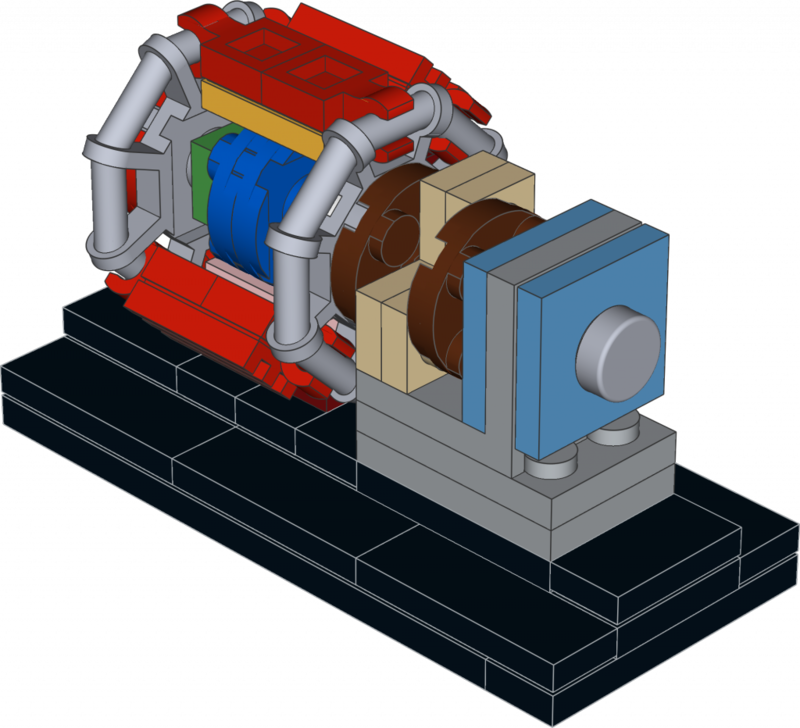 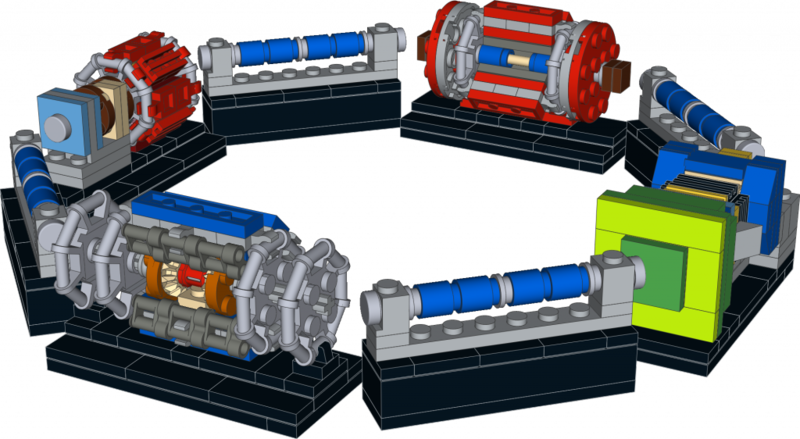 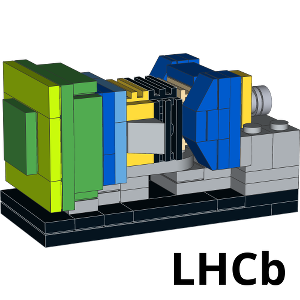 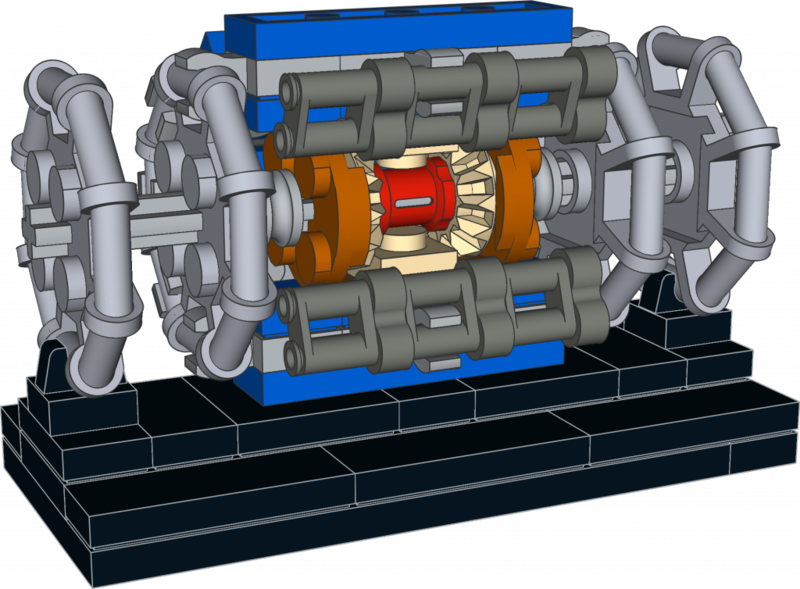 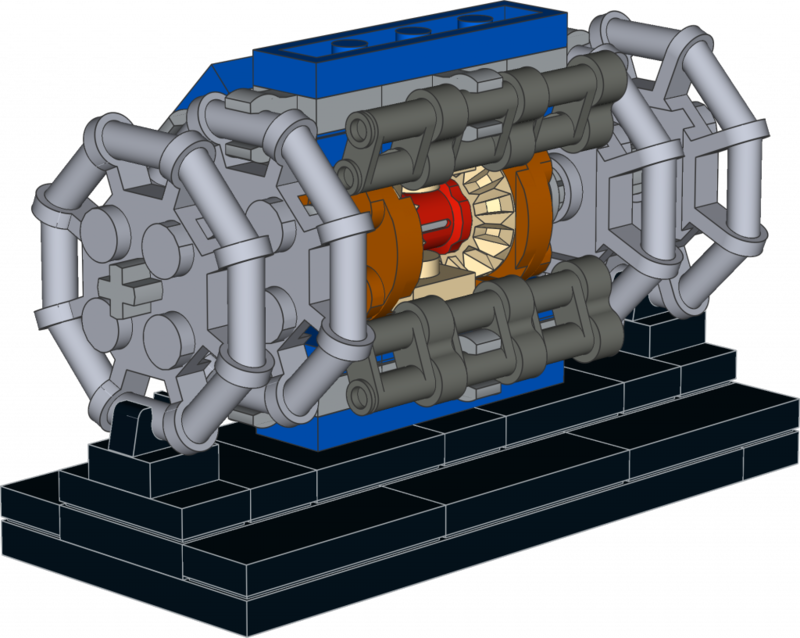 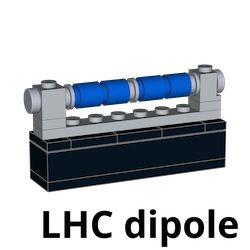 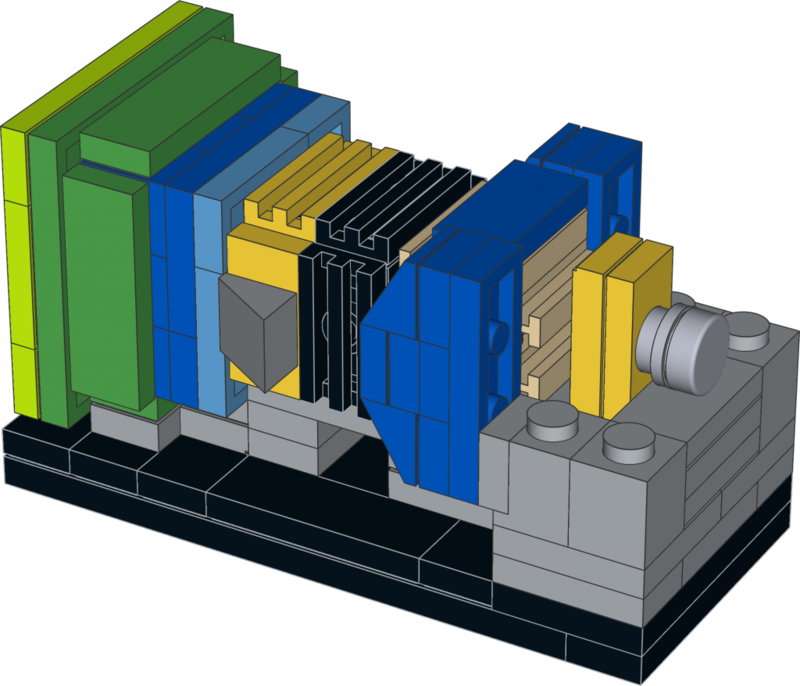 The latest addition to the particle physics brick detector universe is a micro-scale model of the Large Hadron Collider, and its four main detectors, done by Nathan Readioff, a PhD student at the University of Liverpool. 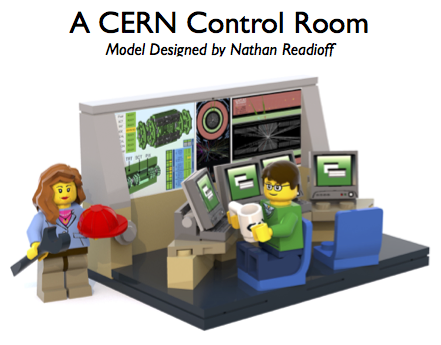 Each model took Nathan around 40 hours to design, including the initial assembly in computer using Lego Digital Designer as well as several iterations with physics bricks. 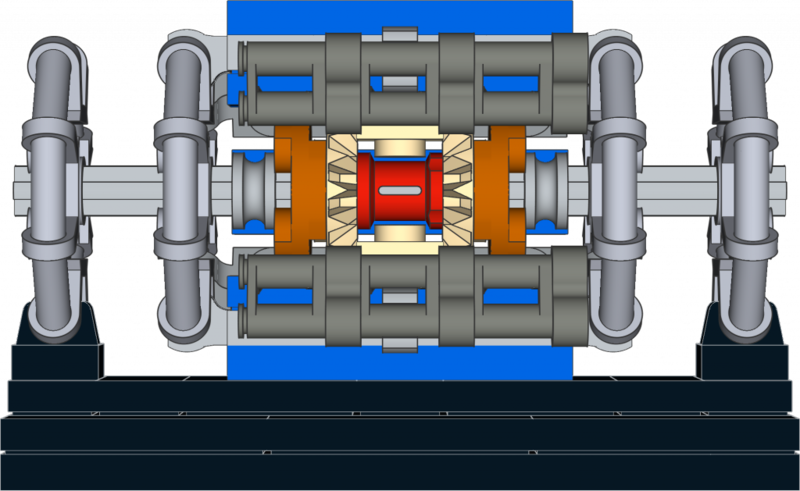 It was important to ensure that the models had a robust construction and could survive repeated handling, but sometimes the computer would glitch and allow parts to fit together in ways that would be impossible in real life. 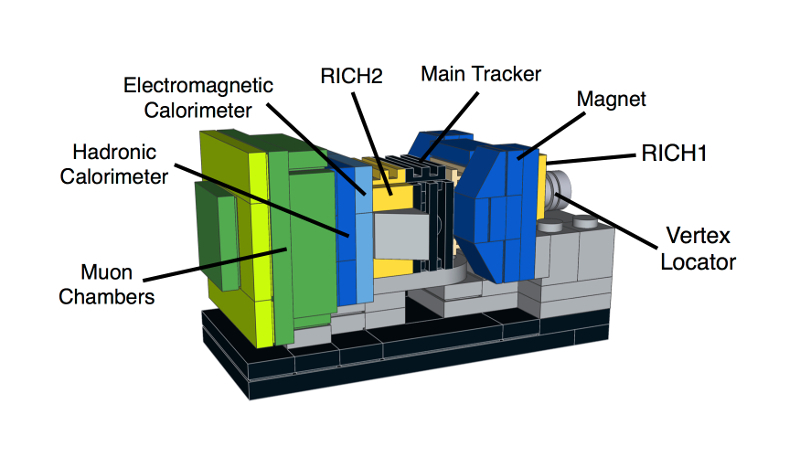 The unique features of each detector meant that each model posed a fresh challenge. 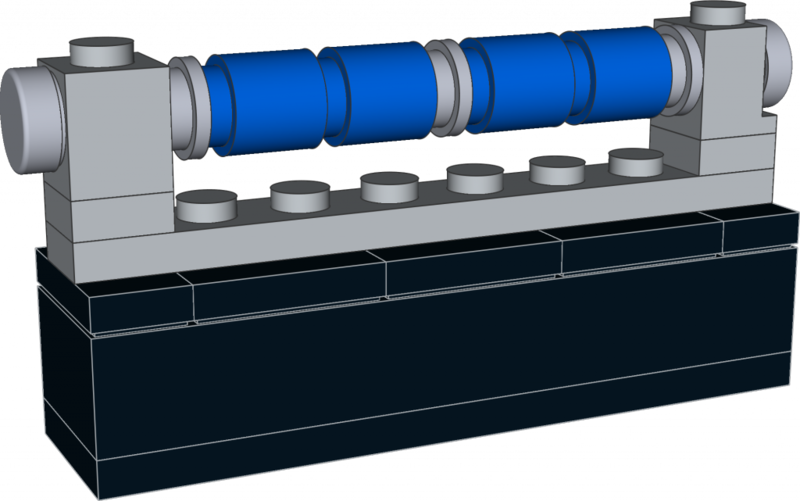 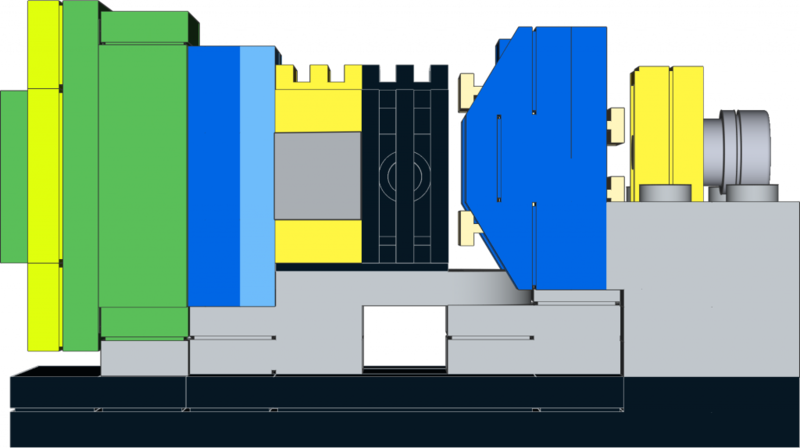 CMS was by far the easiest to design since it is effectively a series of cylindrical layers – in fact the model virtually built itself. 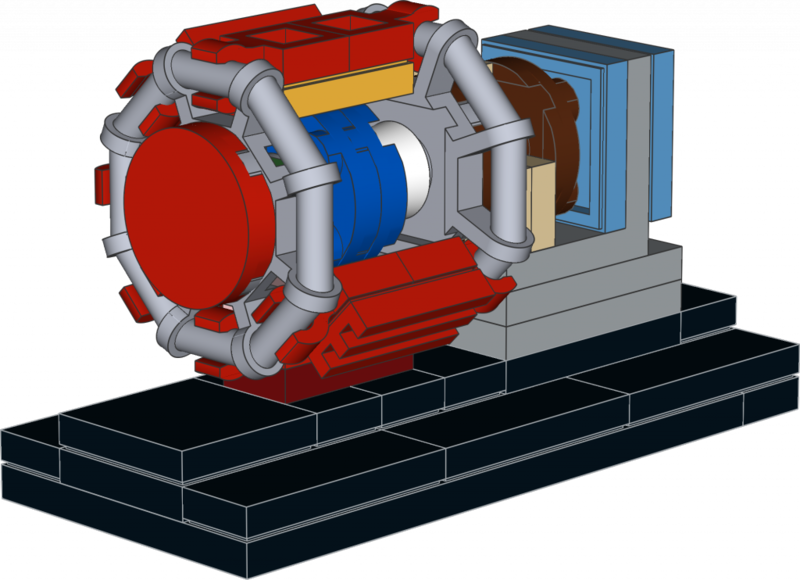 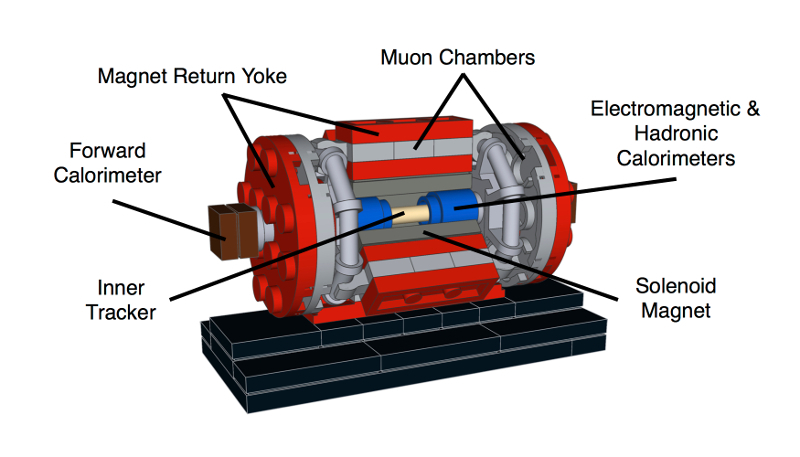 The ALICE detector features a distinctive set of muon chambers although the dipole magnet coil next to them was far too complex to be accurately reproduced at this scale. 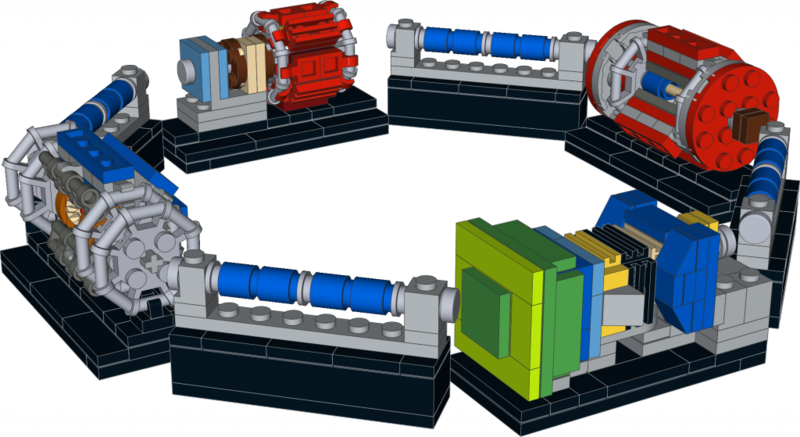 The toroid magnet coils of ATLAS were almost impossible to assemble but it turned out that stackable minifigure binoculars were the solution – even so it was a tight squeeze to add everything in. 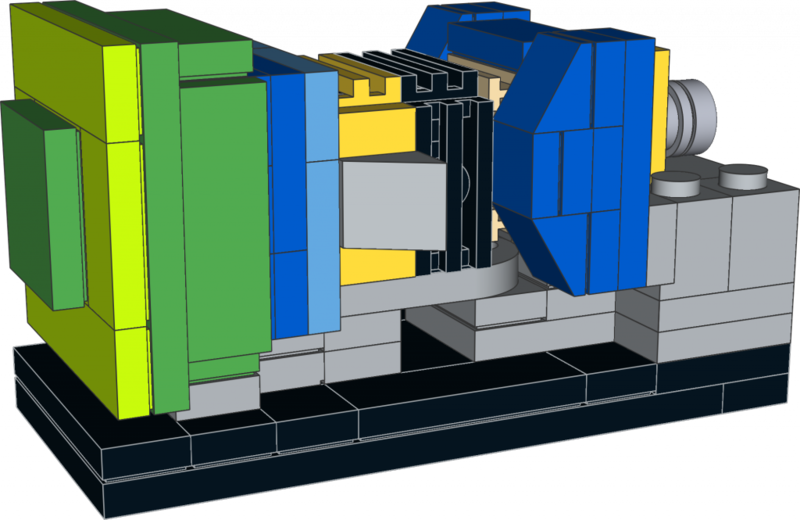 LHCb was by far the most difficult of the four models, since it is completely different from the other detectors. 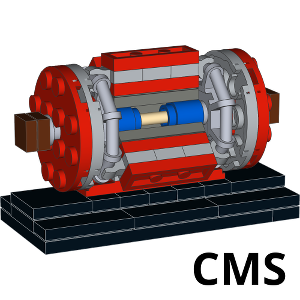 Its characteristic magnet coils took over a month and around fifty different designs before the final one was found – this one small section is the part Nathan is most proud of. 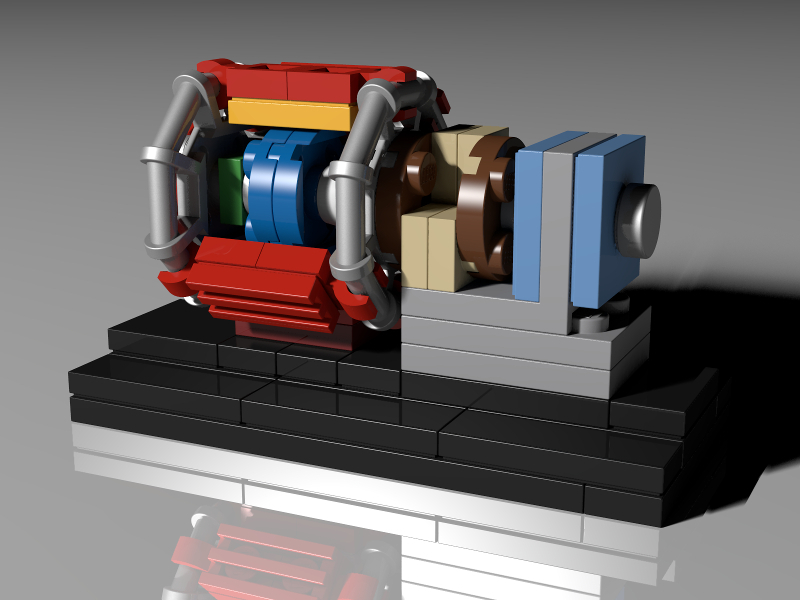 How about a real LEGO set! 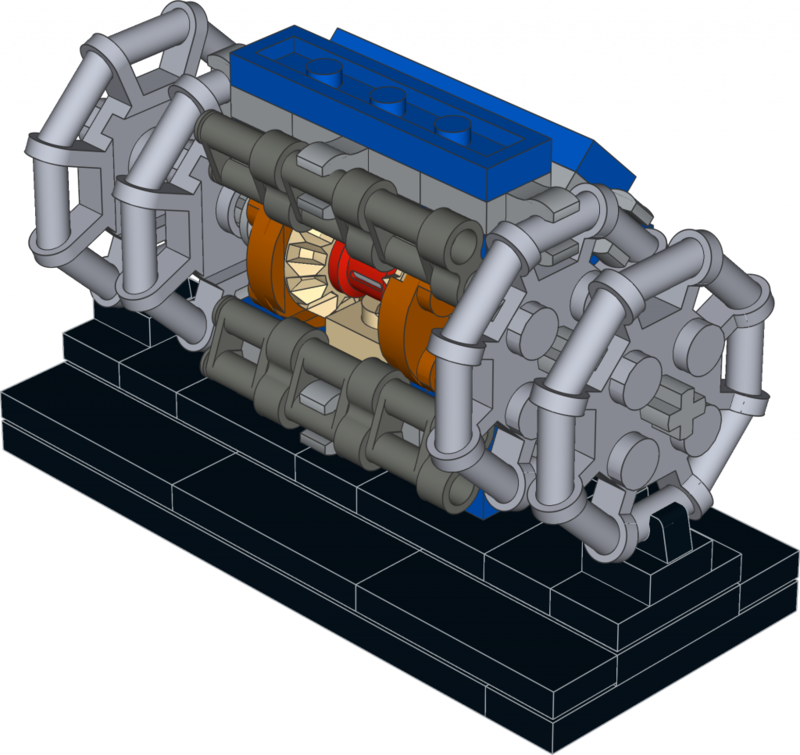 Nathan’s models finally reach the critical mass and got 10k supporter in the Lego Ideas campaign. 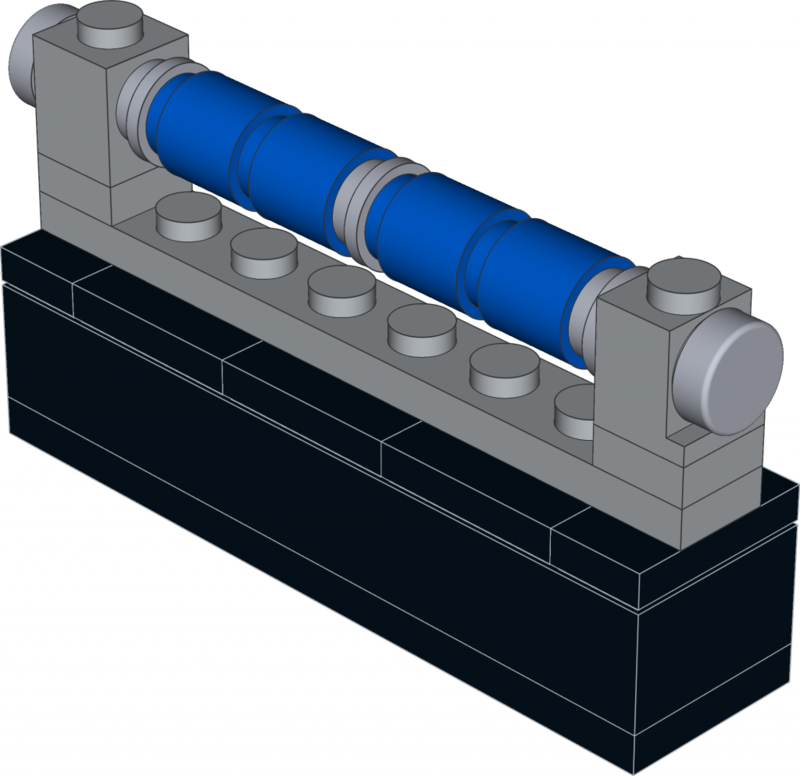 Now it’s up to LEGO to make up their minds!! 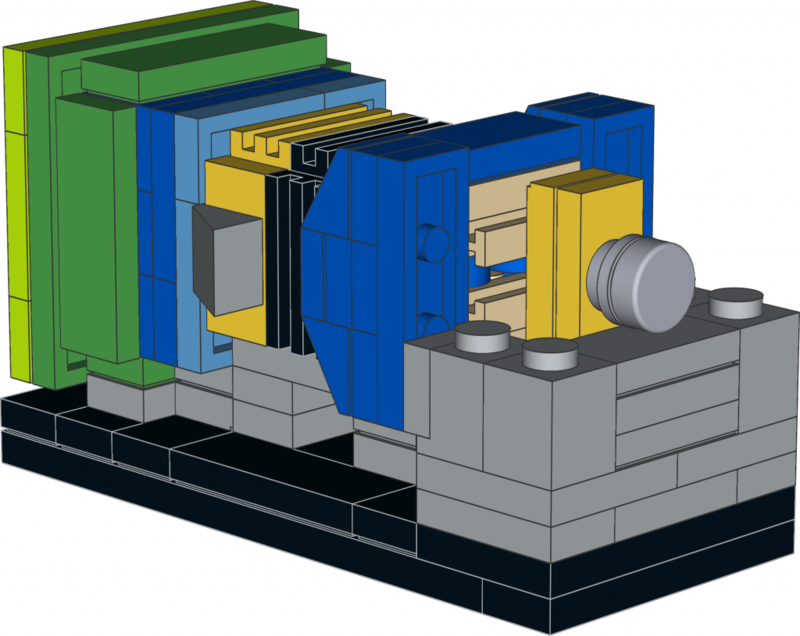 Thanks to of you supporting the project over the past few months! 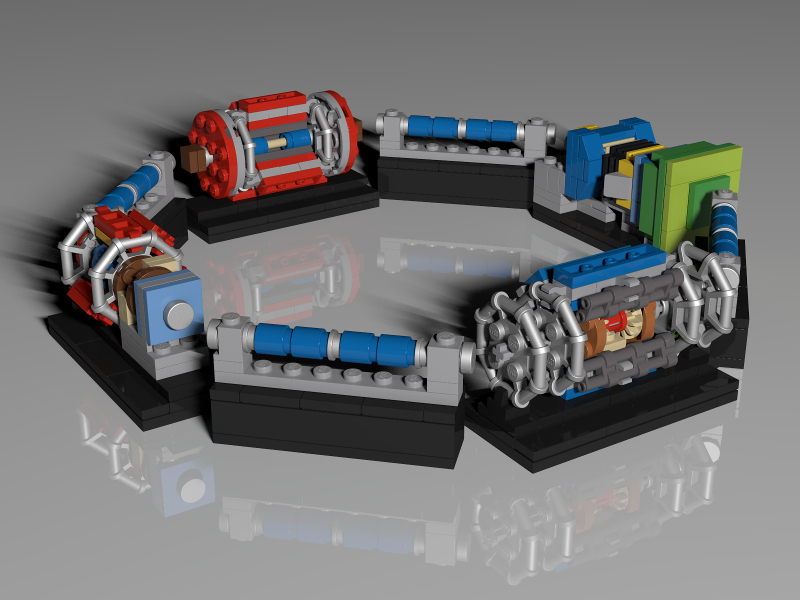 If you simply cannot wait that long you can order the pieces e.g. 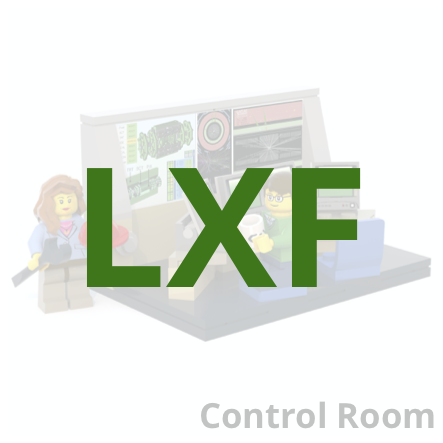 via the Lego customer service or at Bricklink. 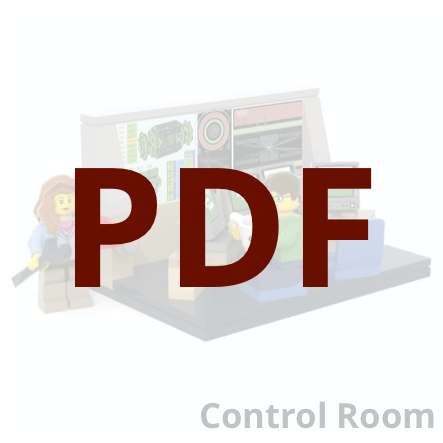 Construction manuals along with a short description of each experiment as well as 3D model files can downloaded here. 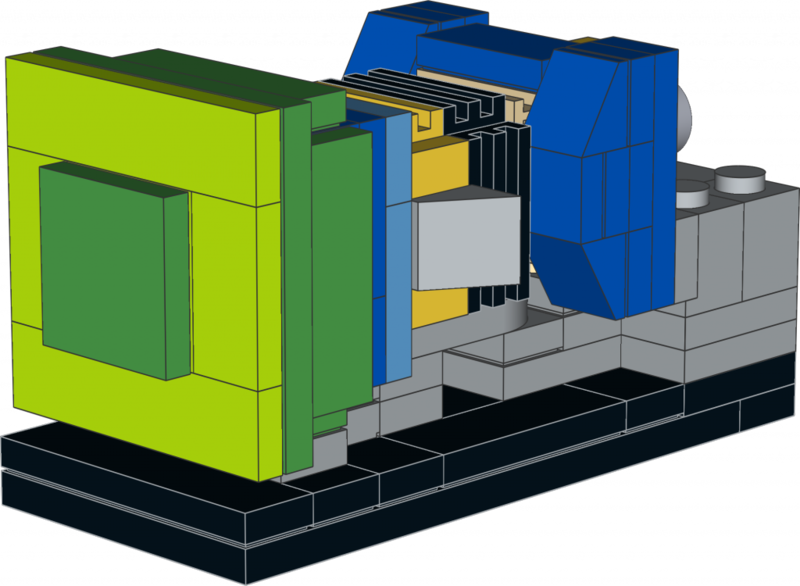 To find out which pieces you need to build these models, check out the parts lists. 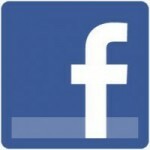 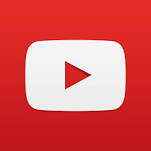 Remember to like us on Facebook and/or Google+, and follow us on YouTube.